INDIANAPOLIS, IN, December 1, 2015 – MPI Corporation, an investment holding company based in Indianapolis, today announced that they have acquired the assets of C.H. Ellis Company, Inc., a manufacturer and distributor of stock and custom cases for industrial customers. C.H. Ellis Company is a leader in the design and manufacture of customized cases for various applications, including military, medical and industrial. C.H. Ellis produces aluminum, ATA, plastic, and soft-sided sewn cases complete with inserts customized to transport, store and protect instruments, tools and devices produced or used by its customers. The primary manufacturing facility and headquarters of C.H. Ellis is in Indianapolis, with support from supply partners around the world. “We have plans to modernize the operations here in Indianapolis and further enhance our products and capabilities to meet the changing wants and needs of our customers,” says Jeffrey Hale, the newly appointed President of C.H. Ellis. MPI Corporation is an investment holding company that invests in companies to help build them over time into better businesses and to enrich the lives of the people and institutions they touch. MPI Corp provides its companies with expert resources, infrastructure, systems, capital, and a strong values-based culture about serving with excellence and integrity. MPI Corporation presently owns several manufacturing and distribution companies based in Indiana with facilities across North America. Further information can be found at http://www.mpicorp.com. Molded vs. Foam: Which is Better? Many conversations about case inserts start with the customer saying: “We need a foam insert to hold our product. Can you do that?” Most customers look to foam when they want to display, carry or hold something in a case. While C.H. Ellis can provide foam inserts, sometimes the better choice may be a molded formed insert. When do you choose a molded insert over a foam insert? Here are five reasons to use a molded insert. Quantities are high. If you are going to need several hundred cases, the cost of tooling a molded insert and the cost of the insert itself often can be less than the cost of using foam. The material cost for plastic is generally less than foam and is less susceptible to market forces. Repeated cleaning is necessary. If the inserts require cleaning, molded inserts are easier to clean and dry. Many medical and tool applications choose molded inserts for this reason. Additionally some solvents can cause the foam to break down. Products are used constantly or in extreme environments. Molded inserts will hold their shape longer. Foam has a greater tendency to break down over time. Foam also will deteriorate faster with repeated use or in extreme environments. Specific color is required. Foam colors are very limited. Most foam manufacturers have stock in white, black, gray, blue red, yellow, green, and pink. It is easier to get a molded insert in color than it is foam. If you are wanting to match it to your brand guidelines it could be easier to use a molded insert. Change is infrequent. Some legacy products can enjoy a long product life-cycle. A molded insert makes more sense when the items in the case will not change over time. Because of this, there is only one tooling charge. 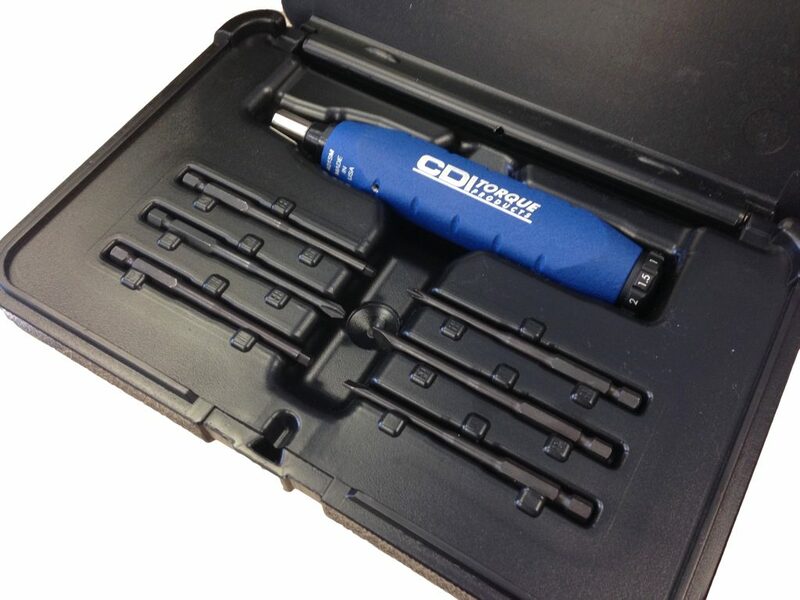 Having Problems with Your Tools Migrating Out of Their Pockets? If you have a problem with your tools migrating out, we suggest using a soft polyester piece of foam ½” to 1” thick placed between the top and bottom pallets in your case. When you close your case the foam will create pressure on the tools, holding them in place. 1. Accommodate A Variety of Manufacturers. Most tool pockets are made for generic tools made by a variety of companies. So, it is difficult to get a “perfect” fit for any given screwdriver, plier, crimper or wrench. 2. Location of Telescoping Handle. Cases were first designed so that the telescoping handle and carry handle were in the same plane. Tools/pockets were perpendicular to the ground. So, when the tool case was rolled, the tools tended to stay in their pockets. As people asked for longer handles, case companies changed the location of the telescoping handles to extend out the longer case axis. This changed the average telescoping length of handles to over 40 inches, in some cases to 42” and more. But, the pallets have not changed from horizontal to vertical. Thus, the pockets that were perpendicular to the ground are now parallel to the ground. As the case is rolled, vibration may cause the tools to come out of their pockets. CH Ellis & Chicago Case are looking at creating new pallets to address this issue. We are looking at changing the material from the current nylon pockets to elastic. We are also looking into making vertical pallets that allow the tools to ride perpendicular to the ground. This solution creates some issues that must be addressed such as the orientation of the open tool case while using the tools and the relocation of pallet hardware. We appreciate your business, and your comments. Feel free to provide us with your feedback at sales@chellis.com.